The parish has Adoration every first Friday of the month. 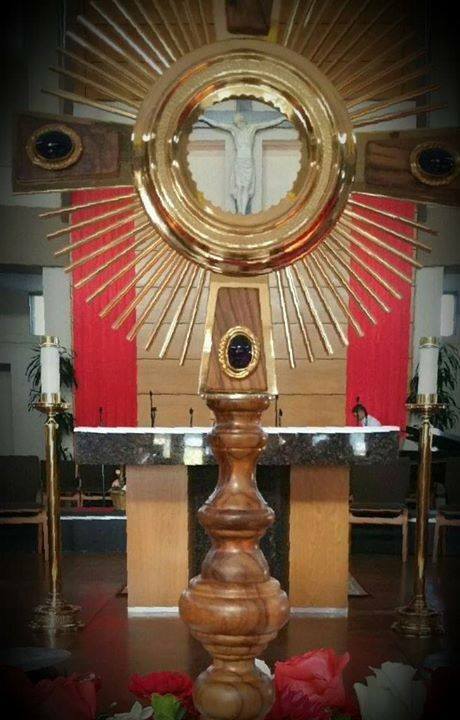 We would like to invite you to attend a full-time 24-hour Eucharistic Adoration begins at 8:30 AM Friday to Saturday 8:00 AM. Please visit the Eucharistic Adoration section even for just a minutes. Thank you.